4 units Per Pack. Creamy and Delicious. 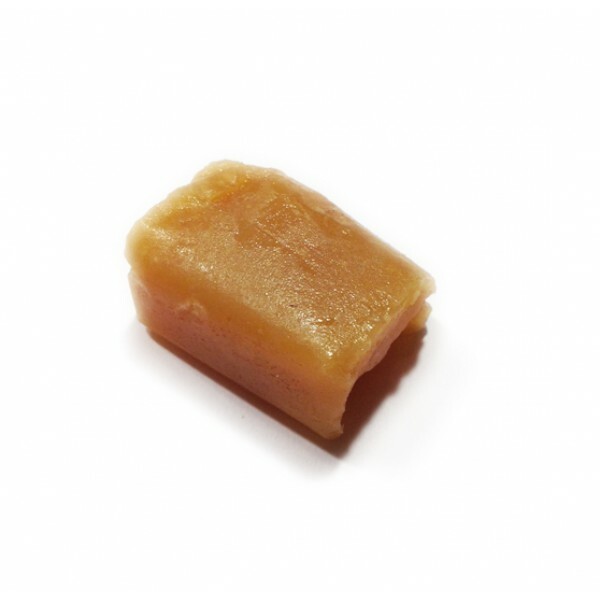 Each caramel contains 10mg of winterized BHO and comes with a nutritional information card. 4 units Per Pack. Creamy and Delicious. 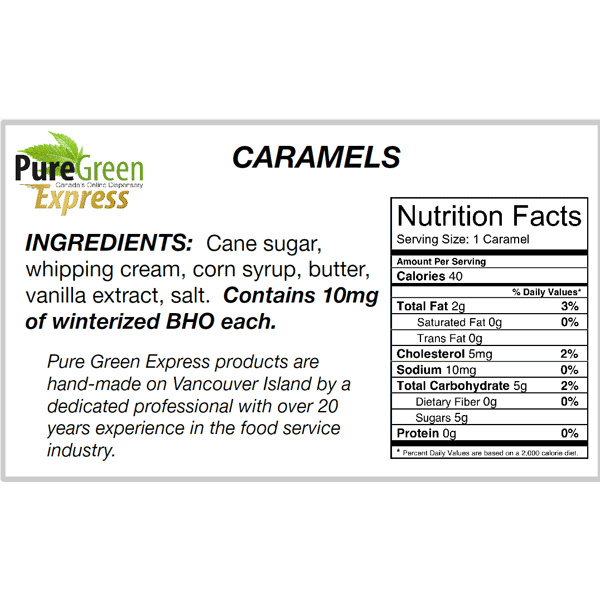 Each caramel contains 10mg of winterized BHO and comes with a nutritional information card. Winterized BHO (Butane Hash Oil) is processed on a closed loop extractor. Once out of the extractor the oil is re-dissolved in 96% ethanol and put into the freezer for 24-48 hours for the plant waxes and lipids to solidify and separate out. The oil is then strained to remove the solidified material and purged, first over a hot plate to remove the bulk of the solvent and then finished in a vacuum oven. DISCLAIMER: This product may MELT during the summer months. Though we do provide ice packs when shipping, we can not guarantee the condition of this product by the time it arrives to you. We recommend ordering during colder months of the year to avoid melting. Please do be advised that even through melting, the medicinal properties of this product are fine and the product may still be safely consumed after the product has been cooled.